RICHMOND, Va. - For nearly 50 years, Jeffrey MacDonald has consistently denied that he brutally killed his pregnant wife and two young daughters in their apartment on the Fort Bragg Army base in North Carolina. Now 73 and still behind bars, the former Army surgeon whose case has inspired books and a television miniseries is pursuing what may be a final opportunity to clear his name. MacDonald’s attorneys argued for his innocence in a federal appeals court Thursday, pointing to evidence uncovered since his 1979 trial that they say proves he wasn’t the killer. MacDonald has long maintained that a group of hippies slaughtered 26-year-old Colette McDonald and their daughters Kimberley, 5, and Kristen, 2, during a drug-fueled attack in 1970 that left him severely injured. 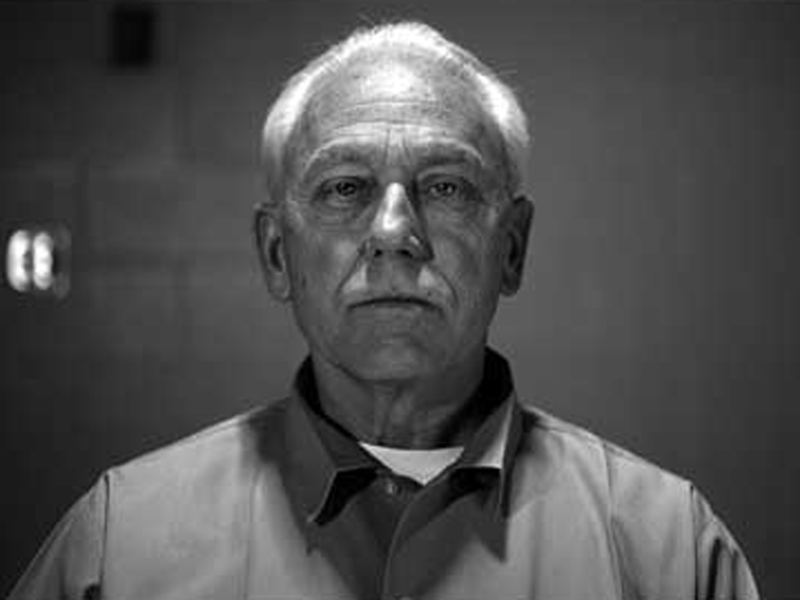 Despite decades of failed appeals, MacDonald remains hopeful that he will be exonerated. “He’s going to keep fighting and will continue to maintain his innocence until the end of his days,” his attorney Hart Miles said after the hearing at the 4th U.S. District Court of Appeals. Prosecutors still maintain that the evidence shows MacDonald killed them and wrote the word “PIG” in blood over their bed in an attempt to imitate the Charles Manson murders six months earlier. It became known as the “Fatal Vision” case, the title of a true-crime book MacDonald had invited author Joe McGinniss to write to demonstrate his innocence. Instead, McGinniss became convinced of his guilt. McGinniss eventually agreed to pay MacDonald $325,000 to settle breach of trust claims. MacDonald is now challenging a judge’s refusal in 2014 to grant him a new trial based on new evidence, including three hairs found at the scene that don’t match the family’s DNA, and a statement from Jimmy Britt, a deputy U.S. marshal who accused the prosecution of intimidating a key witness. Britt told defense attorneys in 2005 that Helena Stoeckley, a troubled local woman MacDonald had identified as one of the attackers, told prosecutor Jim Blackburn that she was at the scene the killings. Britt said Blackburn threatened to indict her with murder if she said so in court. When Stoeckley got on the stand, she said she couldn’t remember where she was that night. Stoeckley also told several others that she was present for the murders, but the district court said her heavy drug use makes her alleged confessions unreliable. Britt and Stoeckley have both since died. U.S. Attorney John Bruce described the defense evidence as insignificant and told the judges Thursday that the case against MacDonald remains strong. Significant pieces of Britt’s story were proven wrong, making him an unreliable witness, Bruce told the judges. The hair - which MacDonald’s attorneys say must have come from the intruders - could have been anyone’s, Bruce said. Appellate Judge Diana Gribbon Motz also questioned how the hair evidence helped MacDonald’s case, noting that it did not match Stoeckley’s DNA either. “It’s not as though you have this hair tied to another person of interest,” Motz told MacDonald attorney Joseph Zeszotarksi, Jr.
It’s unclear when the appeals court may make a decision. Miles, MacDonald’s attorney, noted that the last time the 4th Circuit took up the man’s case, they didn’t make a ruling for almost a year. MacDonald, who is serving three consecutive life terms in Cumberland, Maryland, refused to apply for parole for years after becoming eligible in 1991, arguing that doing so would essentially amount to admitting guilt. He finally applied in 2005 - in part out of a desire to live with the woman he married in 2002 - but was denied early release. He is not eligible for parole again until 2020. “It would be a dishonor to their memory to compromise the truth and ‘admit’ to something I didn’t do - no matter how long it takes,” MacDonald said in a 2000 letter to his now-wife, Kathryn MacDonald, which she provided to The Associated Press.